Being involved in an accident of any kind is a devastating experience; however, truck accidents have the potential to cause even more serious injuries. On average, the Georgia Department of Public Safety’s Georgia State Patrol investigates approximately 50% of auto accidents and truck crashes that result in critical injuries or death. Trucking accidents are some of the most serious and devastating accidents. Significant injuries are more likely to occur with truck accidents simply because of the size, weight, and momentum of a truck. 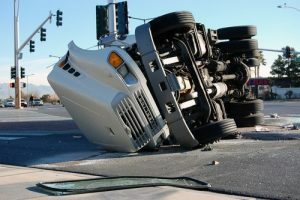 If you or your loved one have been involved in a truck accident, it is important that you get medical help right away. Once your medical condition has stabilized, it’s time to discuss a potential truck accident lawsuit. Who Might Be Held Liable in a Truck Accident Claim? Generally speaking, there are three main parties that may be held liable for damages resulting from a truck accident. In many cases, more than one party contributes to the accident and can be held legally responsible. Driving a “big rig” is a complicated job, and drivers can make mistakes behind the wheel. Unfortunately, it is those very mistakes that can lead to serious injury or cost someone their life. Often, the insurance company can also be held responsible. 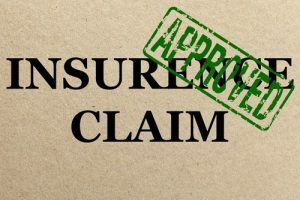 While the insurance company is generally not at fault for the accident nor did they contribute to it, the very nature of insurance allows them to be sued for damages in the event of an accident. What Type of Damages Can Be Paid in a Truck Accident Claim? While tallying your medical bills and other concrete expenses can give you a general idea of the minimum settlement you should accept, there is much more that goes into calculating the total value of an injury claim. An experienced truck driving accident lawyer can evaluate your case and determine the maximum amount of compensation you would be eligible for based on the facts of your case. At Appalachian Injury Law, we go the extra mile in order to exhaust every possible source of compensation in order to ensure that you have the funds you need to cover your damages and move on with your life. If you work with an experienced personal injury attorney, you may be able to secure compensation for your injuries, lost time from work, and emotional trauma. Financial restitution from a truck accident case can go a long way in providing for your future medical care, especially in cases where your insurance won’t cover the full amount of your care, or you have a high deductible that needs to be met. 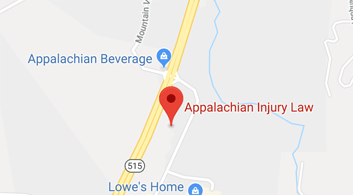 At Appalachian Injury Law, we will investigate the circumstances surrounding the accident thoroughly in order to determine who may be held legally liable. 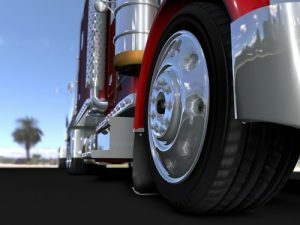 In cases where company truck drivers were negligent, using alcohol or drugs while driving, or engaged in other reckless behavior, we will seek the maximum compensation possible in addition to punitive damages. 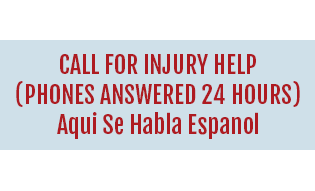 While consulting with an attorney as soon as possible after any injury is important, it becomes absolutely imperative when you or a loved one are involved in a truck accident. Like airplanes, large commercial trucks have an Electronic Control Module (ECM), commonly referred to as a “black box.” This equipment records certain data at all times, such as load weight, seat belt usage, speed, and more. This data can be extremely helpful in proving liability in a truck accident; however, without immediate preservation of this data, it could be lost. After 30 days, the ECM begins recording over previous data, due to space constraints. This means that any data that existed will be lost once the ECM begins recording over the previous data. Additionally, trucking companies are known for destroying the data on an ECM as soon as possible after an accident. It is not illegal to do so, since the law considers ECM data to be the property of the trucking company. An attorney can stop the destruction of ECM data, as well as any manual logs and other records, by bringing forward a civil action as soon as possible. By working with an experienced truck accident lawyer, you can preserve your access to critical data that is essential for your case. 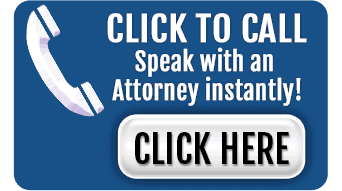 Who you select as your Georgia truck accident attorney plays a significant role in the outcome of your case. Inexperienced attorneys may not know how to gather evidence that is crucial in proving your case, or they may be timid in the courtroom. 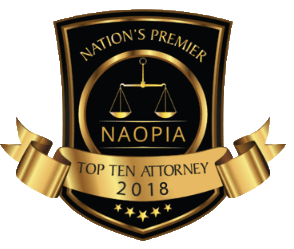 We are aggressive in the courtroom and will go the extra mile to ensure that your right to compensation is zealously represented from the start of your case to the finish. 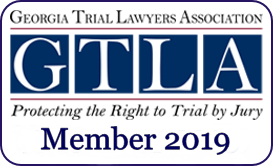 If you or a family member have been injured in a truck accident in Georgia, it’s important that you contact an experienced truck accident lawyer immediately. Don’t wait — the success of your case greatly depends on the ability to gather crucial evidence soon after the incident. At Appalachian Injury Law, we know how stressful and devastating truck accidents can be for victims and their families. We are dedicated to providing comprehensive and zealous legal representation in the face of large trucking companies and will do everything possible in order to ensure you receive the full and fair compensation you deserve for your losses. Reach out to the dedicated truck collision attorneys at Appalachian Injury Law today to discuss your case and to learn more about how to get the financial compensation you need to overcome your injuries and move on with your life.